The Danes of Denmark High School have a namesake that is like no other. In 1898, Leila Daughtry Denmark was born in Bulloch County, Georgia, on a farm 170 miles southeast of Atlanta. She was the third of twelve children in her family, this may have given her some insight into infants and early childhood development. Denmark graduated from Tift College in Forsyth, Georgia where she studied to become a teacher. Afterwards she studied Chemistry and Psychics at Mercer University. For the next two years she taught high school science before attending the Medical college of Georgia in Augusta. She was only the third woman every to earn a medical degree and was the only woman in her graduating class of 52 students in 1928. After medical school graduation she accepted a residency at Grady Memorial Hospital in the segregated black ward. Later she became the first resident physician at the Henrietta Egleston Hospital, which was the pediatric hospital at Emory University. Denmark devoted a considerable amount of her time to health charities. By 1935, she was listed as a board member of the Presbyterian Church Baby Clinic in Atlanta. Denmark and her husband moved to the farmhouse on Mullinax Road after the birth of her daughter. It was here she opened a small clinic behind her house where she continued to treat patients working alone and rarely charging over $10. Perhaps her biggest contribution to the health community came from her research conducted between 1933 to 1944 on the diagnosis, treatment and immunization of the whooping cough disease, which was near fatal to children. This was all a reaction to a whooping cough outbreak in Atlanta in 1932. With the support of Eli Lily and Emory University she was the co-developer of the pertussis vaccine. In 1935 she was awarded the Fisher Prize. This immunization is still used around the world today. Denmark wrote her first book in 1971, Every Child Should Have a Chance. She was one of the first doctors to speak out against pregnant women taking drugs and warned of the harm of secondhand smoke to children. She spoke out against drinking cow’s mild and refined sugars. She encouraged her mom’s to give water and fruit. By the time she died her book was published 14 times. At the age of 103, she retired, stating her poor eyesight was making it difficult to examine children. 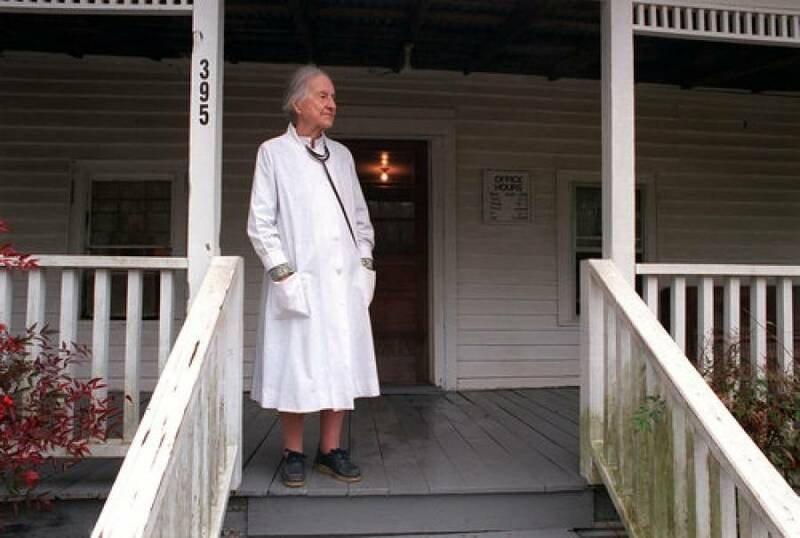 When she retired, she was the oldest practicing pediatrician in the United States. She did continue to offer medical advice via phone until 110. In 2002, Denmark wrote her advice for child rearing book, Dr. Denmark Said It: Advice for Mothers from America’s Most experienced Pediatrician. She stressed a good diet, also felt that doing what you love, as well as good sense of humor I the key to a long, happy life. This book is still available today. She followed what the doctored ordered and on her 103rd birthday, she explained that she had not eaten anything with added sugar for 70 years. She lived independently in her South Forsyth Home until age 106 when she moved to Athens with her daughter. She became a supercentenarian upon reaching age 110. She died in 2012 at the age of 114. Lilia Denmark was honored through many awards, degrees including the Fisher Prize in 1935, Atlanta’s Women of the Year in 1953, many Distinguished Service wards, Shining Light Award from Atlanta Gas Light in 1989, an honorary doctorate degree from Emory University in 2000 and a Georgia General Assembly Resolution in 2000. And now a high school in Forsyth County bears her name.